The Benefits to Nannies of Being Paid On the Books. The Benefits of Being Paid "On the Books"
Domestic workers, like nannies and housekeepers, hold jobs like any other professional and should be paid legally to gain important protections and advantages. 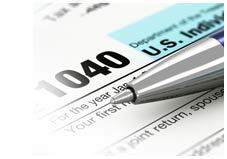 You will need to pay taxes but the benefits will far outweigh the small amount taken out of your paycheck. You have a verifiable income. If you apply for a car loan, student loan, mortgage or even a credit card, you’ll need to show that you can pay monthly installments. Being paid legally provides that. If your pay is not documented, you have no way to show that you have income. You have a legal employment history. Getting paid "on the books" creates a work history. This is also important when applying for a loan, credit or your next job. You can receive unemployment benefits. Employers are required to pay an unemployment insurance tax. When paying legally, your family (employer) will do the same. If you lose your job, through no fault of your own, unemployment benefits will partially replace your lost wages for up to six weeks while you look for a new job. You can enjoy Social Security and Medicare benefits. You and your employer will pay Social Security and Medicare taxes. This money is set aside to help pay for living and medical expenses when you retire. If you are paid “under the table,” you don’t receive these benefits and may need to continue working past retirement age. You may be eligible for a health care subsidy. The Affordable Care Act requires everyone to have health insurance or pay a fine. A health insurance marketplace has also been created to help people find coverage. If you buy a policy through this marketplace, you could qualify for a subsidy and cut the costs of your insurance … provided, of course, you are being paid legally. An important distinction for household employees to understand is gross vs. net pay. Gross pay is your compensation before taxes. Net pay is your pay after taxes. Before negotiating an hourly rate or annual salary, know how much you need to “take home” (your net pay). From there, you can "gross up" your request. For example, Sara needs a net pay of $600 a week. 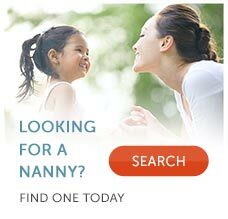 She can use this nanny tax calculator to insert her net pay and calculate her gross pay, which will be $741. ** - Based on where you work, you may need to also pay that state’s income tax. The tax calculator will determine this tax, if applicable. GTM Payroll Services relieves the administrative hassles of household payroll for domestic employers by providing a one-stop shop for payroll, tax filings, compliance and insurance. No risk. No hassles. No worries. If you or your employer have any questions about domestic employment, call us at (800) 929-9213 for a free, no obligation consultation.